Attending travel-related events overseas is always interesting, but to chat on National News in Tirana, Albania it truly was a rewarding experience to give your perspective on an up and coming region within Europe. The Balkans has been an area some might not necessarily contemplate to visit, but for me, I’ve found it one of the fastest-growing destinations in Europe in terms of affordability, culture and a layered undercurrent of vitality and undisputed history. New infrastructure is evident throughout and my speculation is that it’ll be one of the most sought after places tourism will extend its somewhat dormant arms to. Albania is burgeoning ahead with a renewed energy, even though in many ways it still embraces the old, it’s incorporating some new ideals – such as wanting to become part of the European Union and talks have been established. Australians do not require a visa to enter Albania. However, you may wish to check the Visalink tab on this website for any further updates before travelling there. An open space in the city centre, you’ll find The Skanderbeg Square which is the main plaza and is home to the National Museum of History. 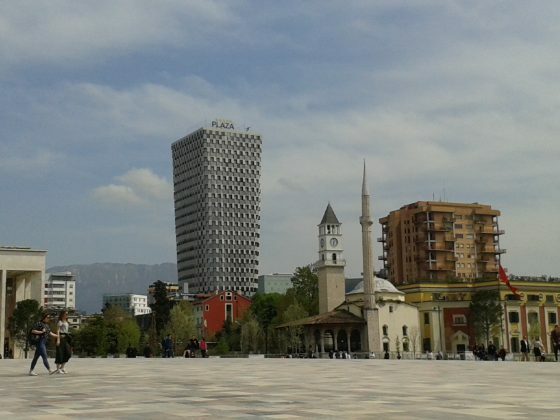 The Square is named after the Albanian national hero Gjergj Kastrioti Skënderbeu and is a total area is about 40,000 square metres giving relief to office workers for a place to lunch, meet friends or simply watch all those tourists passing by each day which seem to be growing exponentially in numbers. 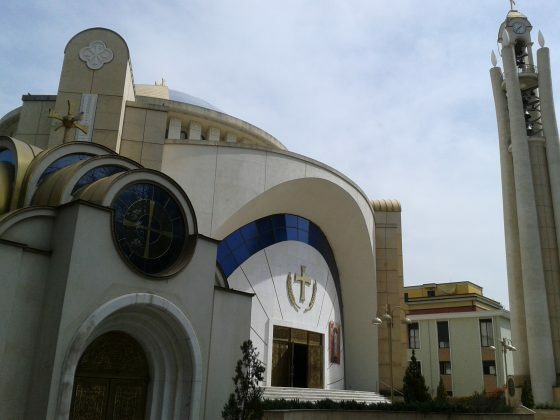 The Resurrection Cathedral is situated in the centre of Tirana and it’s the third largest Orthodox church in Europe, officially opened in June, 2012. The peace of the church was savagely destroyed when the communists took over the government of the country in 1945. It’s definitely worthy of a visit and you can marvel at the incredible structure with its restoration in recent times. The Clock Tower of Tirana was built in 1822 and the stairwell has 90 steps which dizzily capture a spiral twist. It’s 35 metres (115 ft) tall and since the restoration in 2016, there’s been 9,833 visitors to the tower. Much of the architecture around Tirana is a mixed fusion of styles – mostly relating to the past, but adapting to some contemporary ideals as well, it’s desperately shaking off its war-torn image and forging new concepts. 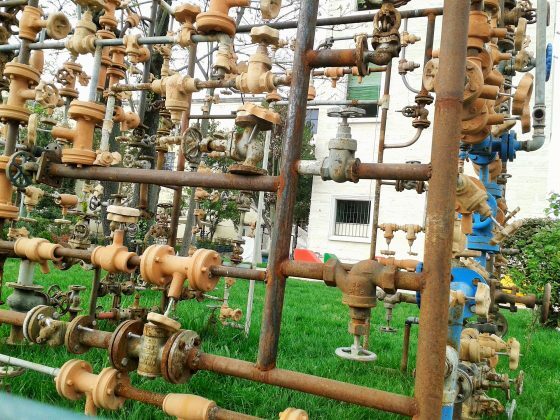 Who said any plumbing-like apparatus couldn’t be used as an artistic tool? 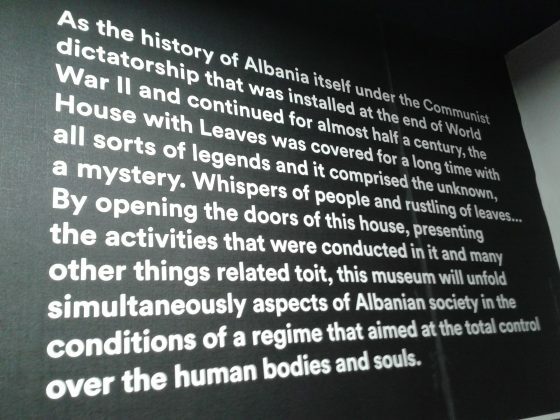 The House of Leaves Museum is a stark reminder that Albania’s freedom was only allowed in very recent times. 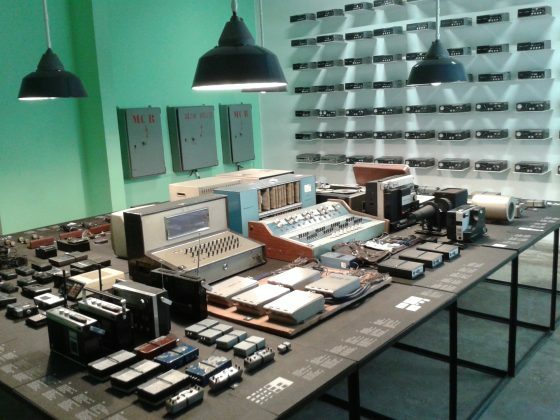 It’s the newest museum to open in Albania and probably the most intriguing; considered to be the equivalent of the Stasi headquarters of the former East Germany. The leaves have a double meaning: things hidden in woods, but also the leaves of books and files about its people. At the time, the Albanian government tried to keep secret the news of the Italian ultimatum. While Radio Tirana persistently broadcast that nothing was happening, people became suspicious and the news of the Italian ultimatum was spread from unofficial sources. The country experienced widespread social and political transformations in the communist era, as well as isolation from much of the international community. 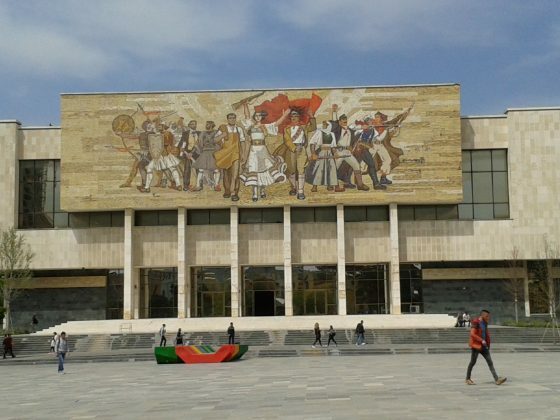 In the aftermath of the Revolutions of 1991, the Socialist Republic was dissolved and the fourth Republic of Albania was established. 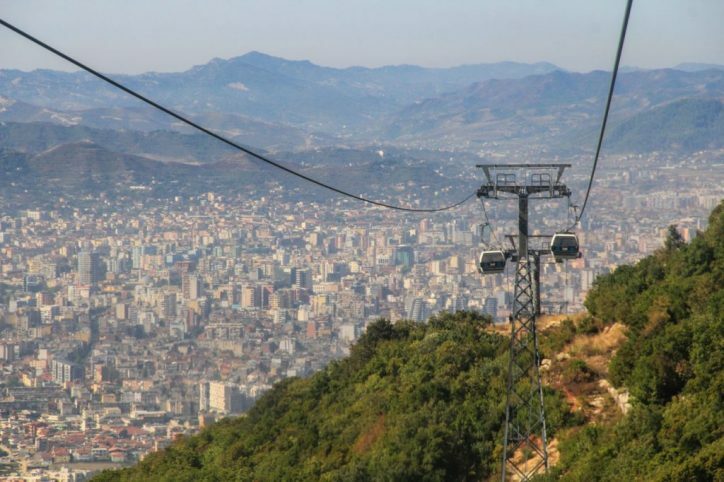 Just outside the city and a day out to Dajti Mountain National Park, the gondola spans a kilometre, making it the longest in the Balkans and is more than 800 metres up the mountainside. After hopping off the gondola ride at the top, you might be lucky enough and have the chance to say hello to a little fellow on the walk up towards the restaurant. Gotta love horses! 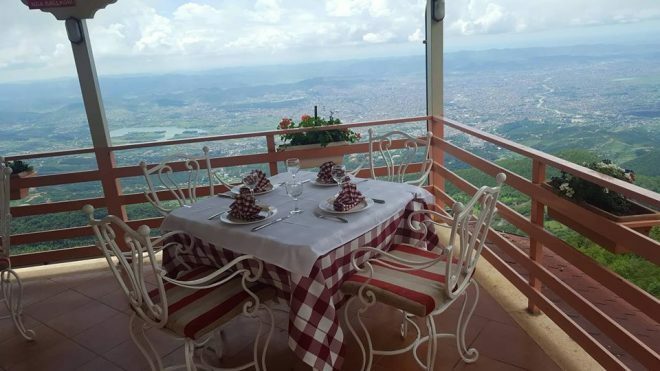 Once you’re at the top of the mountain and you’re seeking a culinary experience, then The Panorama Hotel has the restaurant for you, it serves traditional specialties and the views are amazing. Sit back, relax and marvel the scenery. 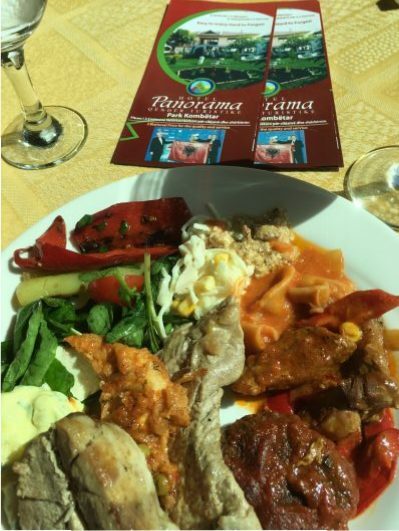 Traditional food presented buffet style will always allow you to make your own choices. If the mesmerising smell of excellent European gastronomy doesn’t take hold of you as you walk in the door, then you’ve probably headed in the wrong direction. Tasty and delicious – not to mention overly fulfilling … Next stop is diet! 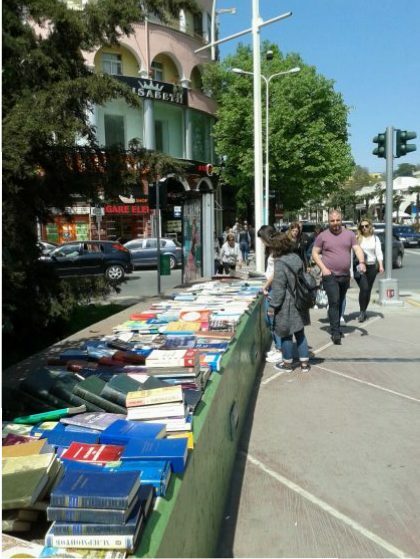 And, once you’ve finished having that massive luncheon to discuss what’s happening on the tourist trail in Albania, a little sit down by the local waterway may be required to check out the book stall – which is always a simple way to have a chat, relax and enjoy the sunshine – even in April! Surprisingly, English is well spoken as is Italian throughout the country. 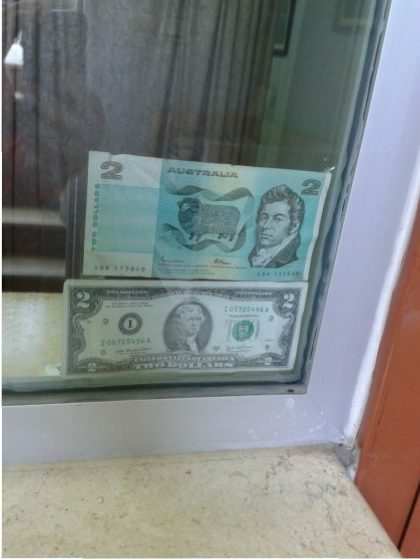 Good news though, Australian currency is easily exchanged at almost all dealers, banks and hotels in Albania. 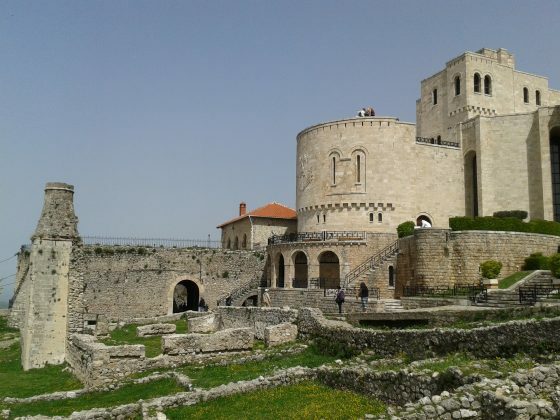 The most important attraction of the city is the Museum of the National Hero, Gjergj Kastrioti Skanderbeg and is situated within this Illyrian castle which took its present facade during the 5th-6th century. 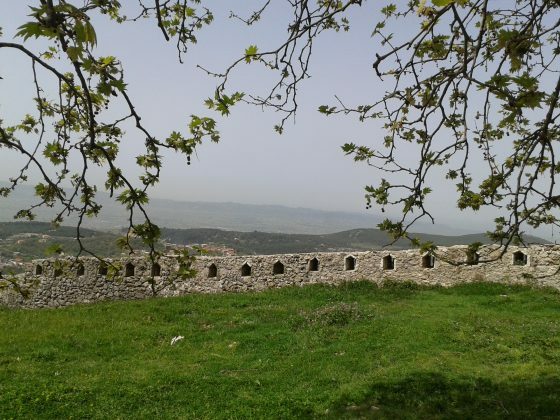 The castle has nine towers, a few surrounding houses and the Teqja e Dollmasë. Inside the castle grounds, you can also visit the Ethnographic Museum, a typical house made of çardak, which belonged to the illustrious Toptani family. In case you’re an avid fan of castles, there’s just no shortage – err hum, a total of 158 castles and fortifications in the country that have achieved – drum roll please – the status of Monuments of Cultural Heritage. 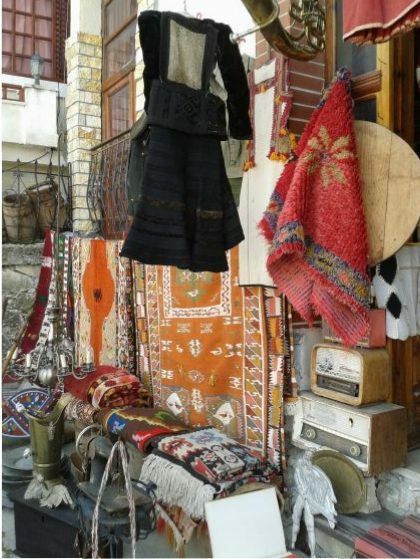 The traditional market of Kruja stands near the castle and is one of Albania’s largest handicraft markets and has operated since the 15th century. A must see for some truly intricate items of ‘days gone by’. On the top of the mountain over the town of Kruja is a religious place called Sari Salltiku (Bektashi sect). ​ There, visitors can find shelter and accommodation if they wish to climb to that spot. 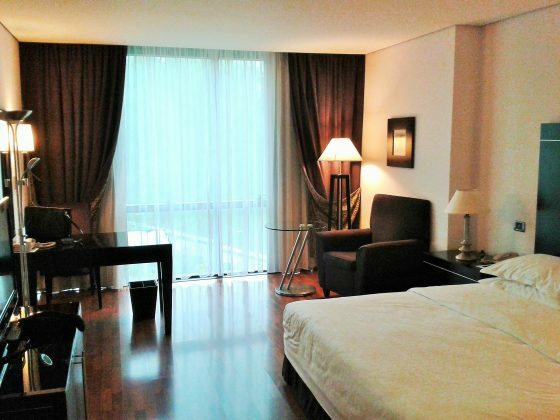 Additionally, travellers will find a magnificent view toward the valley and further out towards the Adriatic Sea. 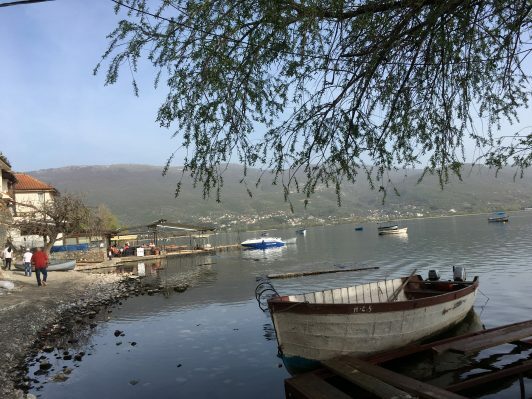 Further afield, Lake Ohrid straddles the mountainous border between south western Macedonia and eastern Albania. It’s one of Europe’s deepest and oldest lakes preserving a unique aquatic ecosystem of worldwide importance; with more than 200 endemic species it was declared a World Heritage Site by UNESCO in 1979. At the end of each day, I’m happy to see my hotel of choice, Mak Albania which is quiet, spacious and an easy walk to the city centre. The staff are incredibly efficient and very helpful. 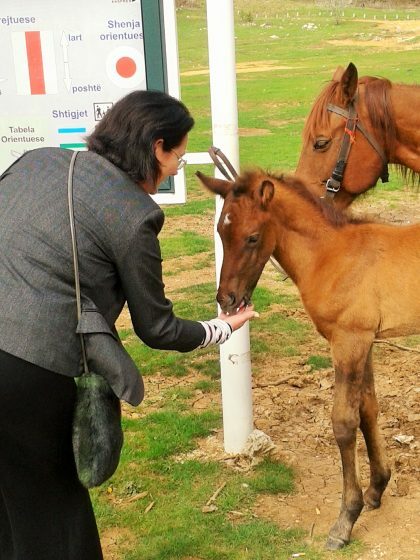 For more information about Albania and group bookings, please see the home page and email me directly.